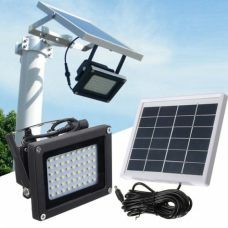 Ultra-Bright Outdoor LED Light is powered by Solar Power and does not require any additional sources of energy. 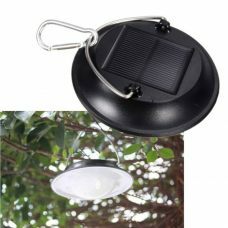 The light is energy-saving and environmentally-friendly product that can light the area around the house, backyard or garden. 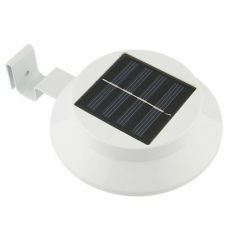 It has Automatic Light Sensor (light controller) which automatically turns the light ON at night and turns OFF at the daytime and also human induction control which react on motion. Installation height should be around 3 meters, as this motion sensor light triggered range: 1-3 meters within 120 degree sensing angle. The Light does not need any manual operation. 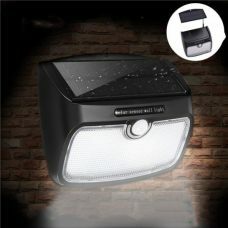 The Product provides ultra-bright LED lighting 350 Lumens with minimum power consumption. The light is amazing, the quality is great, it's very bright and easily illuminates a staircase. Only suggestion: it would have been nice to be able to deactivate the all night dim mode to conserve battery life. However the bright mode that is activated by proximity is excellent. 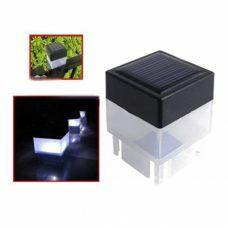 All in all a great Solar light. 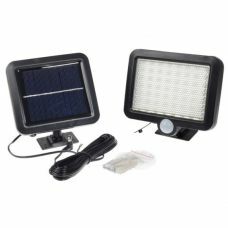 An excellent product, it works very well, the light it produces is very good. The design is slim, modern and very attractive. Nice sensor. A cat wouldn't make it work, but even my dog is not very big, every time she gets close to the gate where the lamp was put, her presence is enough to trigger the strong light mode. The metal case makes it strong enough to be outdoors. Looks perfectly tight to avoid damage in when raining...I hope it lasts working properly for a long time. Other people who have seen it loved it at once. Excellent quality of materials and finishes, which give an elegant premium look. I have not been able to prove their performance, so I can not make references to performance. Just add that the product is exactly as published in the images and the delivery time is reasonable. Greetings!